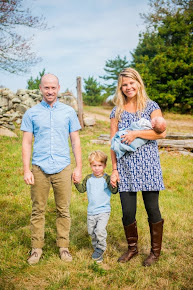 There's a new "Farm Stand" in West Tisbury (where Bananas used to be). It's really more of a little gourmet market than a farm stand, but enough potatoes vs. puh-tah-toes. Anyway, I stopped in today and noticed their selection of day-old bread. They had a gorgeous loaf of Sourdough so I decided to make croutons with the sourdough and some of the rosemary that's growing in the Blue Lemon garden. Day-old bread is great for croutons because it's already a little dry. These croutons are SO good. They're crispy but still chewy and just ridiculously good. I could eat a whole bowl of them without a salad in sight but, then again, isn't that the point of croutons? Give these a try... definitely worth it. 1. Slice the bread into 1-inch slices, then into 1-inch strips, then into 1-inch cubes. Don't be OCD about it. They're homemade, so rustic is encouraged! 2. Toss the croutons in olive oil and sprinkle with fresh rosemary and a pinch of salt. 3. Heat a large skillet over medium-low heat. 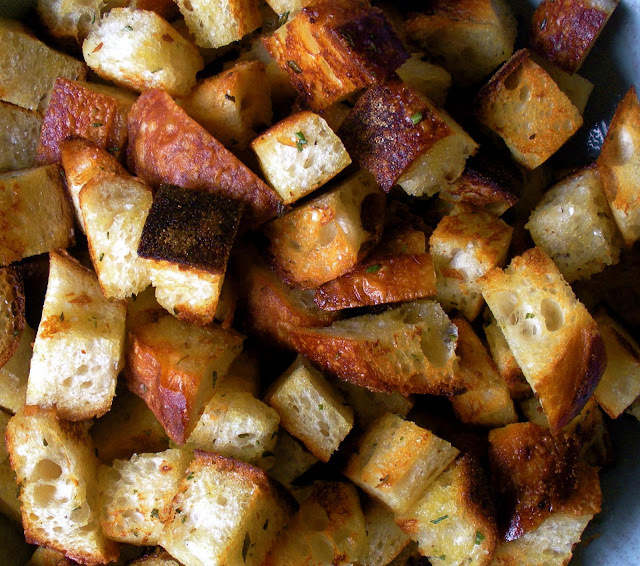 In two batches, toast the croutons until they're golden brown, tossing frequently so they get evenly toasted. *4. Try not to eat them all before dinner. Thanks, Sean! I actually just made Panzanella with these again tonight! I agree... step 4 demands more willpower than I can usually muster. Thanks for your comment and thanks for visiting our site!